The original version of my piece below first appeared on The Philippine Online Chronicles 3 years ago. I’ve edited it to be more current, but the spirit remains the same. I still do want to visit New York. Autumn in New York. It’s a title of a movie, but it’s also the title of a scene in my life that is yet to happen. Ambitious much? It will happen. It is bound to happen. Here’s today’s reality: I’m a mother to a pre-schooler, a wife to an artist. I burn the midnight oil almost every day in a home somewhere in suburban Manila. When I look out our window, I see brown Maya birds, stray grass pushing stubbornly out of the concrete road, homes illuminated by the glow of television sets. It’s a sweet and simple life, one I am happy with. There are moments though that I wish I were seeing something else outside those windows. When I was 24, I wanted to run away to New York. How dramatic, isn’t it? I thought so myself. On hindsight, it was most probably triggered by a quarter-life crisis. At that time however it felt more like a need for adventure, for a fresh new lease on life. New York seemed emblematic. I didn’t want to go there for vacation. I wanted to live there. The next weeks were a whirl of requesting for university catalogs, surfing the net for apartments and other daydream-fuelled activities. It was decided – I would pursue a post-graduate degree in New York City! I remember the feeling, but I don’t remember the details. I vividly remember holding a university’s set of application forms. I also had the endorsement of my college Statistics professor, who was then working at Wharton. I don’t remember the schools I applied to. I don’t remember what part of New York they were in. I don’t even recall what post-graduate degree I applied for. I do remember the feeling was called exhilaration. It was also called fear. Things didn’t go as planned. The reality of costs hit me in the face, as well as the nagging voice of self-doubt. Sus, kaya mo ba ‘to?, the voice in my head mocked. I knew in my heart it could be done, but I decided not to go. I threw away the forms and deleted all New York-related bookmarks in my computer. I felt like a failure, but hey, maybe it wasn’t meant for me. Over the next eight years, the New York dream fell silent. I dreamt of other things – marriage, a home with a picket fence, babies. I didn’t get my New York dream but I did get the others. Life was beautiful. Life continued to be beautiful. The windows, however, would continue to beckon me to look outside, to look outside again. The New York dream was back. I couldn’t afford to travel, but I could continue to dream about it. So I dreamt big. In my free time, I read a lot of books with stories set in New York (Nick & Norah’s Infinite Playlist, Something Borrowed, a bunch of biographies…). I watched and re-watched movies set in New York. The plots were irrelevant – I just wanted to see the architecture and culture (The Devil Wears Prada), the markets and food stands (You’ve Got Mail), Central Park where the characters would sing and dance (Enchanted). My favourite TV sitcom, How I Met Your Mother, was set in New York. I re-discovered Felicity, which delighted my inner 24-year-old self as the series was about college years in New York. More than the characters’ stories, I was more interested in the stories the city told, even if it was just a backdrop. I surfed the net for New York real estate. I looked up brownstones and apartments, went through floor plans, gauged how far each one was from the subway. I downloaded New York-related apps on my iPhone and went on virtual tours, even checked out classes at NYU. I asked my friends to regale me with stories about their own New York experiences. Please don’t think I’m cuckoo. I’m just in love with the idea I have of the city. “Bakit mo ba gusto don?,” a friend asked me. “Ang babastos ng mga tao don eh. Lahat nagmamadali, kapag nabangga ka hindi nagsosorry. Tsaka ang dumi-dumi.” Ever the realist, he wanted to make sure my rose-colored glasses weren’t too heavily tinted. I wanted to tell him that on the walkway from Greenbelt to Landmark (and many, many other walkways), I’ve been bumped unapologetically by the hurried pace of pedestrian traffic. Manila streets aren’t exactly immaculate either. I didn’t say anything though. I just pushed the rose-colored glasses higher up my nose. Over the next year, the New York dream fell silent again. There were too many things to worry about in real life that daydreaming seemed like a waste of time. How I wish I could tell you that this story ends with me seeing New York. It doesn’t. It does however, end with a vision. Autumn in New York. Here’s another story. Many years ago, I couldn’t have a baby. Stress, biological craziness, call it what you want. I put up a visualization board, which is an exercise said to help realize your dreams. So I placed a picture a smiling baby boy right smack at the center. A few years later, we had our miracle baby. I’m sure it wasn’t solely because of the board, but I do feel it helped. My baby dream had come true. While looking up the photo’s credits to go with this article though, I saw this photo wasn’t taken in New York. It was taken in Washington DC. What the heck. My New York dreams were humouring me all this time. So now I’m back to trying to find that perfect image I can print out and post on my board again. Autumn in New York. It’s a scene in my life that is yet to happen, a scene that I know will happen. I don’t know when, but the certainty about the city I felt at 24 is still as strong. The fear has subsided, and I know that is a good thing. It is 3.30 am. My husband and my son are fast asleep, and here I am burning the midnight oil. The windows beckon me again, beckon me to look outside. I see that it is pitch-black, the homes no longer illuminated by late night TV. The sky is a dark, blank canvas. I look deep into the darkness and imagine the New York city skyline. I see the Empire State Building. I see streaks of light from bars, clubs and cabs. For a split-second, I feel the buzz of the New York I’ve romanced all these years. It is thrilling, exhilarating, promising. My New York dream is in the process of becoming. Autumn is coming soon. 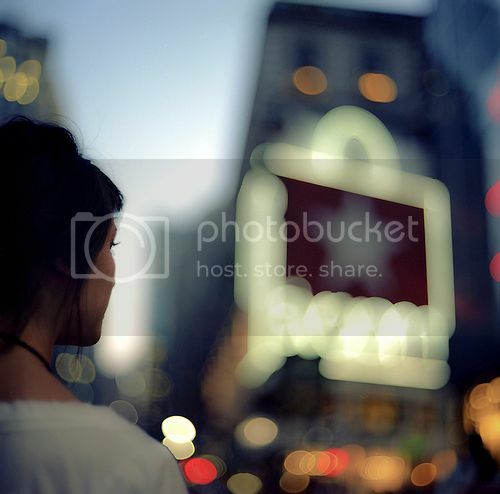 Photo: “Macy’s” by Vincent, c/o Flickr. Some Rights Reserved. Photo: “On the platform, reading” by Mo Riza, c/o Flickr. Some Rights Reserved. 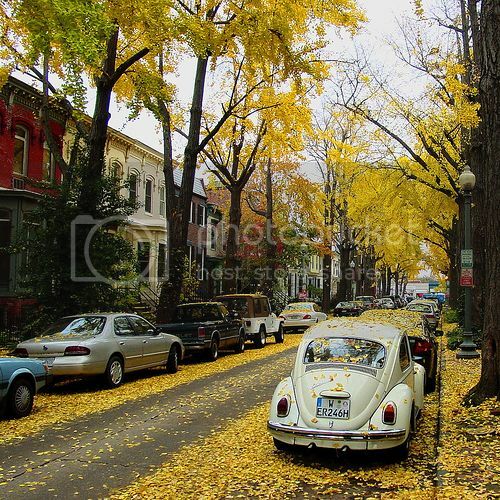 Photo: “Autumn in DC” by Vladimer Shioshvili, c/o Flickr. Some Rights Reserved. If you have any New York stories of your own to regale me with or share New York City dreams, please leave a comment below! « Scrambled Eggs with Mayonnaise: More for me! Your article hit me 2 ways: the same feeling I had 7 years ago when I set foot in NYC, and, I also have this big dream of exploring Italy only for a month and the some weeks the rest of Europe! Sure New York is just like Makati but something in it that makes me want to go back again and autumn would be a perfect time! Tara, let’s dream.Big in 2015! Going back to your previous posts, I should say this one is far different. This inspired me a lot. Your words were written as if it’s your inner-soul directly speaking to me. While I don’t have the NYC dream as much as you do, I have long-term endeavors I wish to pursue (which by the way I need to start taking and keeping pictures of and post it to my board just like you did.) Keep inspiring people! God bless you and your family! Happy to know we connected. NYC has been a long-time dream of mine, but it’s just not a priority to travel now. Perhaps someday. Hopefully when I’m not too old to appreciate it. Wishing that you are on a wonderful journey to making your long-term endeavors come to life! God bless you too! vision/dream boards are so effective. i never dreamt of going to nyc because my dream destination has always been europe. last year because of stress/unhappiness at work i treated myself to a us vacation. later on, i saw my old yahoo messenger avatar and it was me with the statue of liberty in the background. i just smiled at myself, maybe there was a point in time i did want to go to nyc. i hope you’ll experience autumn in new york, i think it will be gorgeous. and yes, the subways are dirty, i felt that the soho area was like quiapo even though it was lined up with posh stores and cafes but there is really something special about nyc. it has a vibrant soul that enthralls you.